... also, watching this coming weekend for chasing possibilities! Currently at Denver (Hampden Heights), Colorado: 68ºF Mostly cloudy (cirrus). 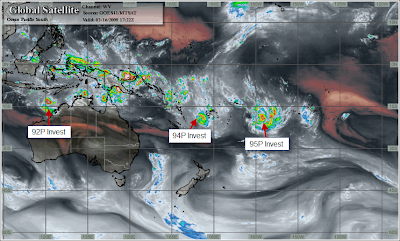 Overview tropical satellite imagery used with permission; courtesy of IPS Meteostar Inc. 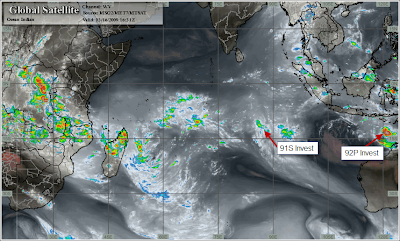 Tropical tracking information from Joint Typhoon Warning Center and Navy/NRL Tropical Cyclone Page. Some annotations on imagery are made by the author of this blog. Click for larger images. 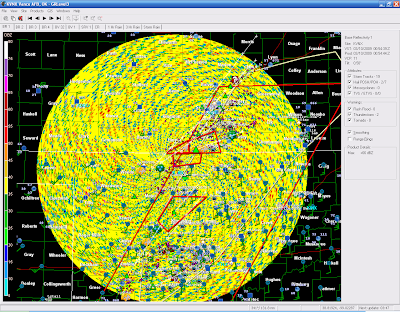 That is one crazy radar image. Ha! I know, crazy, huh?